Video by Association One Voice who fights already for a long time to reduce the suffering of cats without a home. Identification, sterilisation, more severe punishments for abandoning a cat are the solutions. France, what are you waiting for? This is 2018 ! 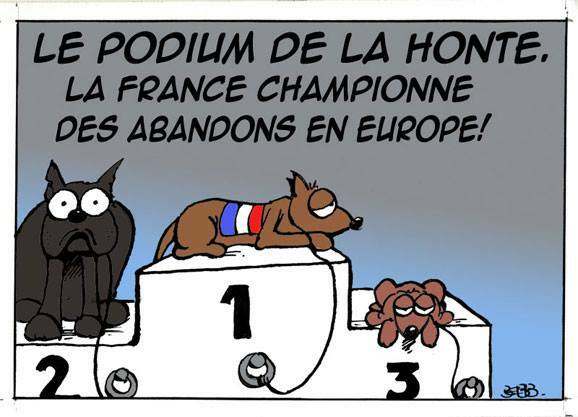 And in France many dogs are still permanently kept on a chain at the end of the garden, like garbage. You can sign a petition if you would like to help these animals, neglected, with no shelter, no food and water. 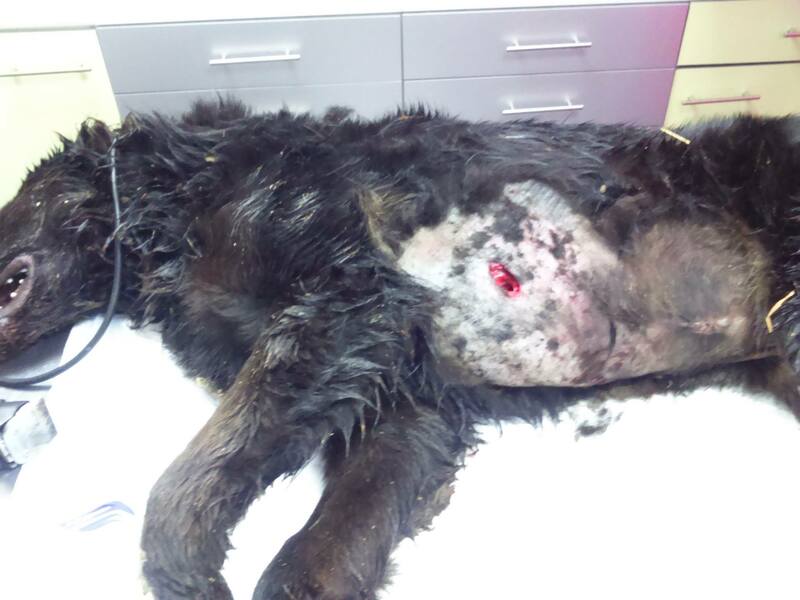 The petitioners ask for a law to forbid the permanently tethering of dogs in France and to start an information campaign about the dangers of keeping dogs on chains. Thank you for the dogs ! Did you know that especially in the French Islands of the Indian and Pacific oceans (they call them the DOM) 63,1% of the dogs and 90,3% of the cats entering a pound are being euthanised? And that in the refuges (where animals are supposed to be treated well and get a chance to find a new loving home) not less than 80% of the animals are euthanised. Yes, I’m not kidding. The association One Voice recently published the article below in her blog, about the euthanasia of dogs and cats in France without any medical reason. Millions of dogs and hundreds of millions of cats are being killed in refuges/pounds without even getting the chance to find a new home and the authorities condone this practice. Especially puppies and kittens are at danger of being killed or even just die from neglect and starvation in animal pounds. 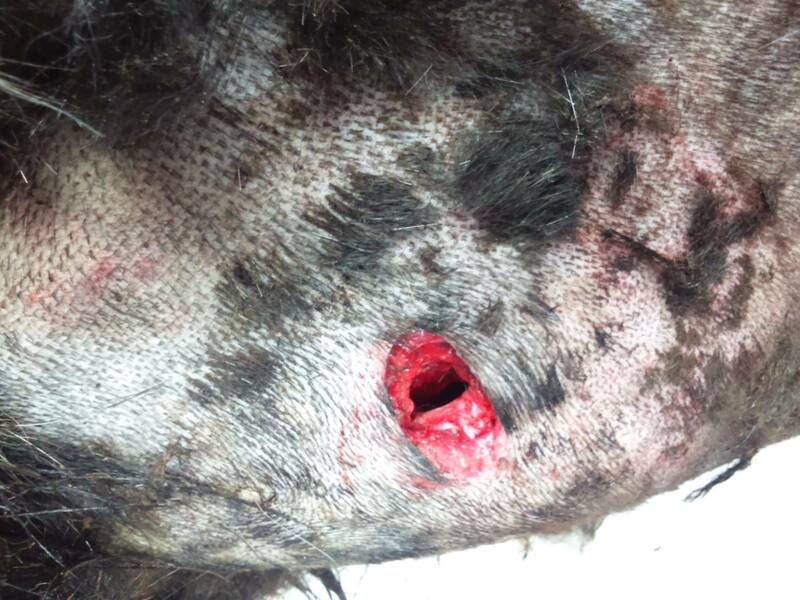 Please sign the petitions on this site so that this stops once and for all …. Thank you! The biggest danger in France are men with guns. They are prepared to use them anywhere and everywhere! On the first of May 2015 a dog was tortured and executed in the small village of Sainte Cécile (85110) in the west of France, the Vendée. Java, only 8 months old was in the building of a goat farm together with her brother and her mother when she was attacked. The family was off for the day. As the dogs tend to wander, they were locked in the milking room of the farm. 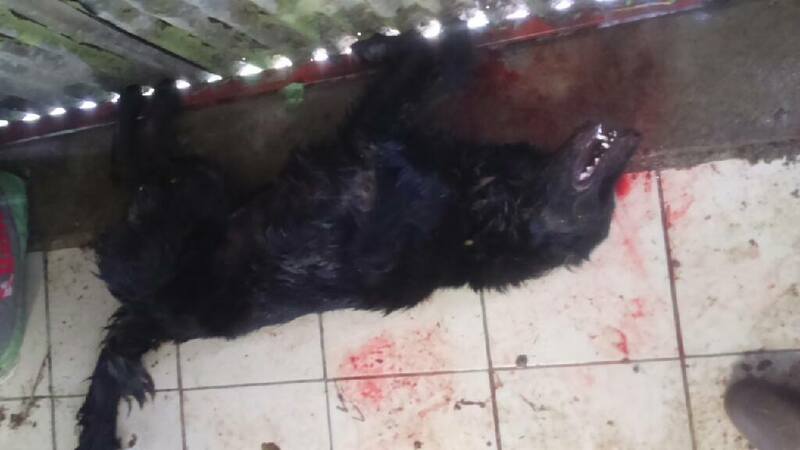 When the owners of the dogs came back they found Java dead and they found blood everywhere in the building. Her mother and her brother fortunately were unharmed. They had been attached, so the culprit probably didn’t see them. Java is a very friendly dog and comes to greet people. The person who did this must have planned the attack. In fact, the bullets probably shot by a 22 long rifle, passed straight through and came out the other side and the killer must have taken them away with him. All of which suggests premeditation and spying on them to plan the act. The family has handed in a complaint to the local police, who said that very probably no further action will be taken, because they have no evidence for who did it. Technically, they have been told, they can’t even accuse the culprit of trespass, because the building was not locked! De la fourrure de chat pour confectionner et fabriquer des couvertures, des manteaux ou encore des ceintures anti-douleur : ce marché suisse, très juteux, bien que méconnu, semble continuer de séduire une clientèle sensible à une ancienne croyance attribuant aux peaux de chat des vertus contre les rhumatismes. Le commerce de peaux de chats était d’ailleurs légal jusqu’au 18 septembre 2008 chez nos voisins helvètes, pourtant très actif en terme de protection animale. Cette année-là, la révision de la loi suisse n’aurait jamais pu avoir lieu sans le tapage organisé par la SPA de Thonon-les-Bains, en France. Après avoir constaté des centaines de disparitions de chats suspectes en Haute-Savoie au cours de l’été 2007, la présidente de la SPA locale déposait plainte en novembre.